This isn’t a poetry post but since it’s been a few weeks since my last post, I thought I’d share a few words of encouragement. 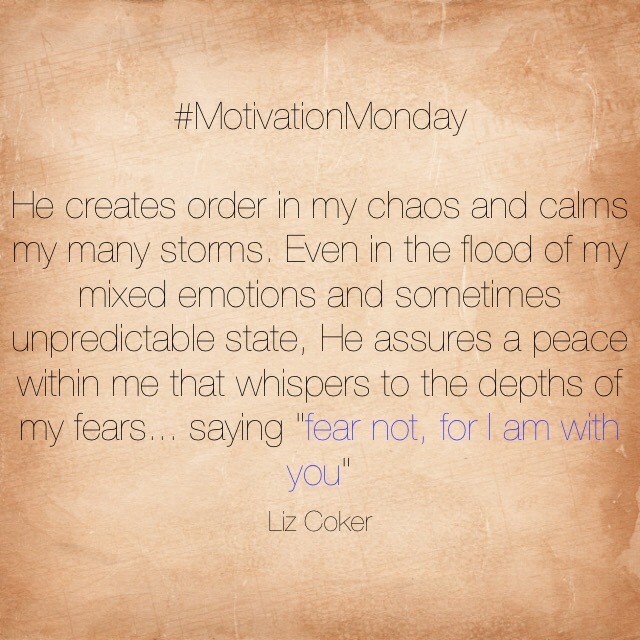 Who do you run to when fear, anxiety, and worry overwhelm you? So I’ve been thinking about how numbing and paralyzing fear can be. It’s one of those things I can’t really explain but when I put my fears, worries and anxiety in the lap of God, I find He gives me a sense of peace. It’s the 8th month of 2015. Time really waits for no man! But here is a little reminder and encouragement, not from me but from God Himself in Isaiah 41:10 (Click on the scripture to read the passage) telling us not to fear, for He is with us. This is a personal note to me and to anyone reading this – God wants us to grow through life with Him, we do not have to bow down to fear and what appears to be giants in our life, but we can choose to step out boldly and do the unthinkable with an unrelenting trust in God that he will light our way and guide us forward.